From Anne: "As of August, 2000, I can tell you sincerely that�Memnoch the Devilis my favorite of the Vampire Chronicles. Have any of you connected Veronica's Veil to Lestat's unusual assault on Dora after his freedom from Memnoch? I am speaking of the folklore of the veil. I am speaking of a blood connection. Of course, Lestat's blood lust is also connected to the blood of Christ in this novel. Much as I love all my books, this is--I repeat--my favorite of the Chronicles." 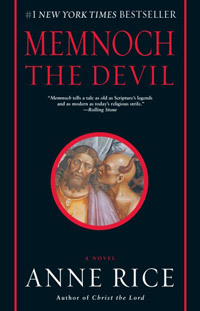 A�New Edition of�Memnoch the Devil�has been released and includes�Anne's essay on her Earlier Works and a Study Guide. 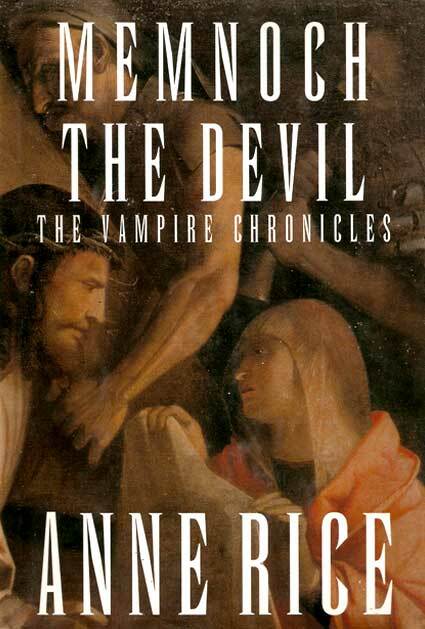 Anne has provided the following comment on this new edition: "This is the most spiritual and most religious of the Vampire Chronicles, a real stepping stone for me in my return to Christ. I'm thrilled with this new handsome and fresh treatment by the publisher."